Closeouts. 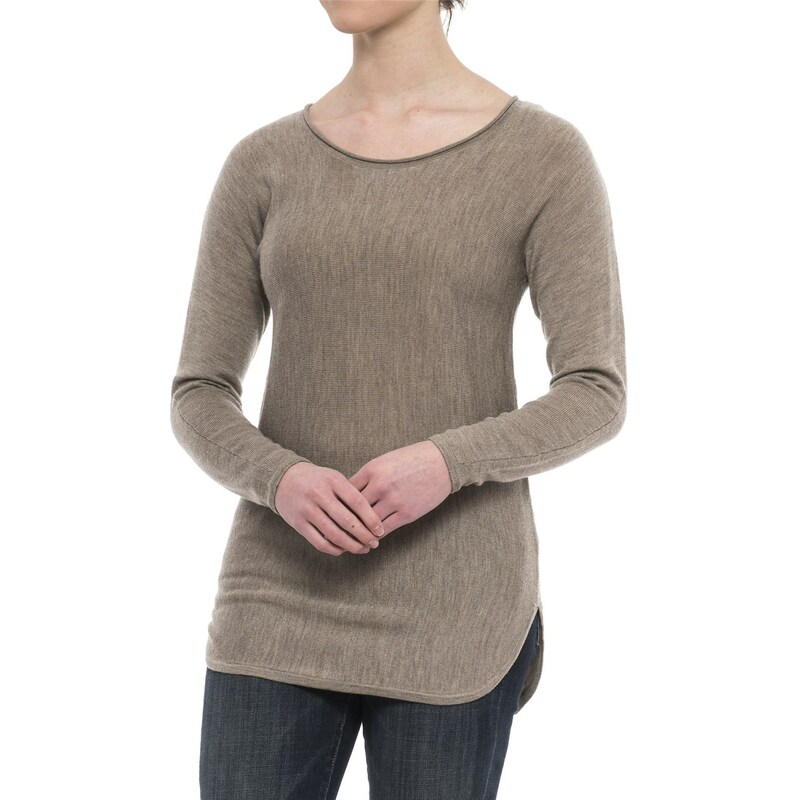 Max Studio’s Cashfeel tunic shirt is knit from midweight, surprisingly warm merino wool with a lightly brushed finish that lends a luxurious, cashmere-like softness. A rolled edge at the neckline creates a comfy-casual appeal, and a relaxed fit in a flattering and versatile tunic length makes it a perfect partner to leggings or skinny jeans.